Adwords is in many cases is a must for new websites. Simply because SEO takes time to kick in and if you want traffic from users performing certain keyword searches, PPC is the way to go. Adwords works well in many cases – providing the paid search manager knows what he or she is doing. Which is not always the case. I’ve been managing Adwords accounts since 2004 and I’ve seen a lot of mistakes made by website owners when it comes to working with paid search agencies or managers. I’ve created a list of some of the basic things you should ask and do before hiring anyone to manage or create your Adwords campaigns. Never “order” a paid search management service like you would a pair of socks. You want to speak with a live person with paid search experience. A good paid search manager will ask you questions about your goals, target CPA and past PPC performance. You’ll also want to have your existing account audited. Find out how your current campaigns are performing and what the new manager / company will do to improve upon it. You’ll also want to inquire about any set up costs and monthly maintenance fees. 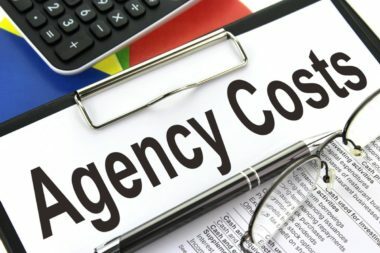 Many agencies try and offer you flat rate pricing based on your spend (which you should never do. I’ll explain later) or by the number of keywords. Freelancers my charge you by the hour. If you have an existing account get an audit. Some agencies will take a look at your existing campaign to determine how much revamping a campaign may need. They will also have a sense of how much time they will spend in your account. Too good to be true management fees are just that. Too good to be true. If you have 10,000 products in your Google shopping campaign and your management fee is $300 a month, I guarantee you that your account will not be managed properly. Every account I’ve looked at that had a ridiculously low management fee suffered from lack of management. Every time! Also avoid paying anyone a percentage of your spend. It’s very easy for a manager to increase what you’re spending on Adwords and which in turn will increase what they get paid. Also an increase in spend is not an indication that they are sending more time managing your Adwords campaign. I recommend either a flat monthly rate or a percentage of revenue. If the fee is a flat rate, you know exactly what you’re fees will be. If you go with a percentage of sales value – you pay more money only if you make more money. You can also go hourly. Just be sure to set a limit to how many hours you can afford a month so there are no unexpected fees. Certification isn’t an indication that a person or company is good at managing Adwords. It does indicate that they understand the fundamentals. That doesn’t mean you shouldn’t look for the certification. Always ask for case studies and for references. Reach out to those references and ask them about what the management company’s reports on and how responsive they are. If you are working with an agency that is certified, be sure that the individual you are working with is certified. Don’t assume that if an agency is certified that everyone in that agency is. Ask to see certification of the people managing your account. Never, under any circumstance allow an agency or manager to create an Adwords account for you. Create one yourself and grant them access. I can’t tell you how many times I’ve spoken to clients who had their accounts held for ransom. You want to be able to revoke access to anyone at anytime. You want to retain all of the data the account has for the next manager. You don’t’ want to lose valuable data that you’ve spent money on. Even if you decide to rebuilt the account from scratch the data that has already been collected is very valuable. Without it, you have to start all over which will cost you even more time and money. One area I see lacking from some agencies is reporting. Many times a client will only receive a screenshot of the account or a spreadsheet showing the campaign’s performance. However, an ideal report comes with an explanation of what was done the previous month and the game plan for the next month. In my mind PPC accounts should evolve. We call ourselves paid search managers, but what we should be doing is more than just manage. The goal is to grow the campaign and continue to improve performance and growth. It’s always good to shop around and to see what agencies can do for you. Some may offer landing page optimization others may specialize in e-commerce. Find the agency that fits your needs and goals. When it comes to PPC, performance is the goal. Over time you should see your campaign improve. Sure, there will be times it may not perform as expected, but there is usually a reason for it. It could be a new site went live. Perhaps your testing new landing pages or a new offer. Whatever the case may be know and understand why things are improving or why they may not be. Don’t flip out if you have a bad month. Just understand that somethings things won’t go as planned. However, if you have several months of poor performance and your management company or manager isn’t able to improve performance it may be time to have an audit done by a third party and possibly a new manager. Getting locked into a 6 – 12 month contract could be costly. Did I miss any tips? What have you learned in the past from working with agencies or managers that you can share?